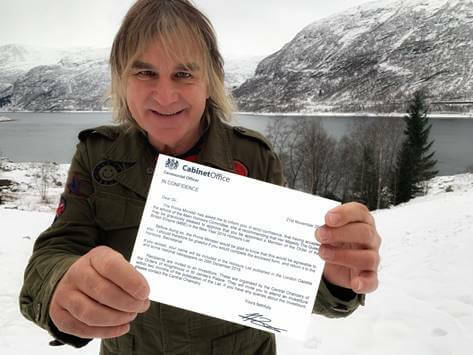 Internationally acclaimed musician and healthcare campaigner Mike Peters has been awarded an MBE for services to charity having raised thousands for cancer care projects in the UK and abroad and dedicating his life to giving hope for families affected by cancer. 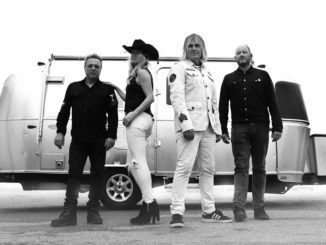 Mike Peters, who was born in Prestatyn and grew up in Rhyl, formed rock band The Alarm in 1981 and went on to achieve worldwide success with the band. During his long career, Mike has performed with a number of recognised artists and bands such as Bono and U2, Bob Dylan, Neil Young and Bruce Springsteen. This year Mike has played over 100 concerts around the world and has a large dedicated fanbase who descend on Llandudno, North Wales every year for the annual ‘The Gathering’ weekend of music which he set up 27 years ago. A dedicated family man with two sons, the 59-year old made a recovery from lymph cancer in 1996 only to receive the devastating news that he was suffering from chronic lymphocytic leukaemia in 2005. Ever the pragmatist, Mike decided to set up a sponsored walk up Snowdon, ‘Snowdon Rocks’. Following the success of this event, Mike then co-founded the Love Hope Strength Foundations in the US and UK with Texan leukaemia transplant survivor James Chippendale. In the past decade, the Foundations have collectively gone on to raise over a million pounds for cancer projects through their international trek and events programme, with over £600,000 being raised by the charity in the UK. In addition to this, Mike spearheaded the ‘By Your Side’ cancer care campaign for Awyr Las, the North Wales NHS Charity, which raised over £350,000 for cancer services in the region. Mike’s Snowdon Rocks, now in its 13th year, has morphed into Snowdonia Rocks and has become a popular annual pilgrimage for a legion of Love Hope Strength supporters, musicians, families and people affected by cancer. As well as raising money, Mike has been an active campaigner and established Love Hope Strength’s ‘Get On The List’ programme over a decade ago. With the mission to ‘save lives one concert at a time’ Mike’s Foundations partnered with DKMS (the international blood cancer charity) to help find potentially life-saving bone marrow or stem cell matches for people with blood cancer or blood disorders who need a second chance at life. Since setting up Get On The List, the Love Hope Strength Foundations have organised over 6,000 free Get On The List bone marrow and blood stem cell donor drives at concerts, festivals and events in the UK and USA. Thanks to this Get On The List programme, over 200,000 people have now been added to blood stem cell donor registries, which has resulted in more than 4,000 potentially life saving matches being identified. “I am completely overwhelmed and just so grateful to have been included on the New Year’s honours list. MBE must stand for a ‘Multitude of Brilliant Efforts’, because that’s what lies behind everything that I’ve achieved. Not my own efforts, but other people’s. “Love Hope Strength Foundations, which I co-founded here and in the USA, have saved lives and changed lives over the past decade. This is thanks to the support of hundreds of volunteers, thousands of supporters (including our brilliant Alarm fans) and a great many musicians who have got behind the cause. My being awarded this MBE is all down to their collective brilliant efforts. This MBE really is for them. “Finding myself in the role as carer did have a profound effect on me and it certainly did make my resolve to help other families living with cancer even stronger. This MBE award is a fantastic boost, as it really recognises the achievements of everyone who’s been involved in Love Hope Strength and other charities I’m associated with, not just me, and I think it will make us all want to do much more over the next few years. “Thanks to other organisations around the world who share Love Hope Strength’s mission, there are now over 27 million people on the worldwide bone marrow and stem cell donor register. But there is still a lot to do. There are still thousands of people with blood cancer and blood disorders who need a second chance at life and are searching for a life saving donor. In 2019 we’re planning to do even more to ensure that potential matches can be found. There are also lots of life changing projects for vulnerable families here in the UK and elsewhere that we’ve been made aware of which need support. 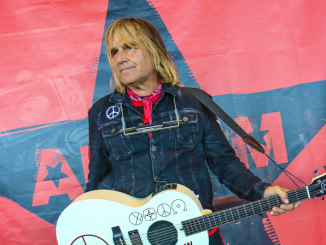 Mike Peters’ MBE will now be added to the other accolades he has received. These include a Lifetime Achievement Award for services to the Welsh music industry, an Outstanding Contribution to Music from the Welsh Music Awards and Honorary Fellowships from both Bangor University and Glyndwr University. In addition to this, Mike is a Deputy Lieutenant of Clwyd, was voted 11th in a poll for the Greatest 100 Welsh people, and has recently been shortlisted as one of the Top 20 Greatest North Walians. 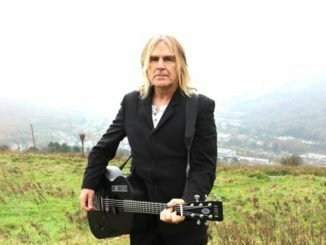 He may now be an MBE, but Mike won’t be changing his plans for 2019: he will once more be touring the world with The Alarm whilst he continues to receive treatment for his leukaemia and he’ll be organising more treks and events to help spread the message of love, hope and strength.